INSIDE World Festival of Interiors, the authoritative global interior design event and awards, has announced its panel of judges and theme for its 2016 edition, taking place from 16-18 November at Arena Berlin, Germany. Acclaimed designers including Juergen Mayer, Founder of J. Mayer H. Architecture Design and Research; Seyhan Özdemir, Founder of Autoban; Philip Handford, Founder and Chief Creative Director of Campaign; and Clive Wilkinson, Founder of Clive Wilkinson Architects will preside over the INSIDE Awards, as international practices compete for the Festival’s ultimate prize – The World Interior of the Year. Projects can be entered across nine diverse categories, ranging from hotels, offices and civic spaces to transportation hubs, bars, clubs and shops. Entries are now open, ahead of the submission deadline on 19 May. The theme for INSIDE 2016 is ‘Fluid Interiors’ and will explore how crossover design is transforming how we live, work and play. A curated, future-focused talks programme will explore this topic and debate the implications for interior architecture as the boundaries between workplace, home and leisure spaces become blurred, as do creative disciplines. Hosted alongside the World Architecture Festival (WAF), the two events attract in excess of 2,000 attendees annually for three days of talks, crits, exhibitions and fringe events. Following its previous locales in Singapore and Barcelona, Berlin will provide the perfect backdrop for this global celebration of design and architecture. 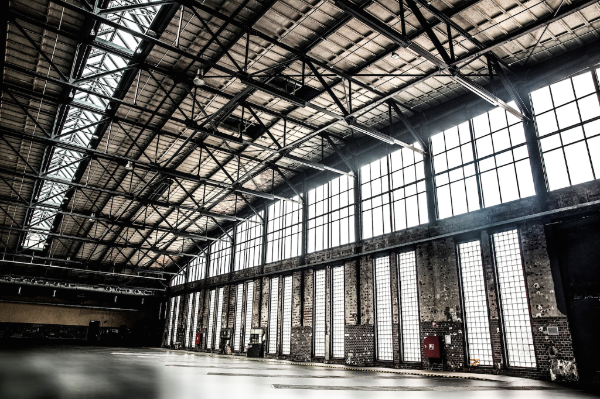 The German capital’s eclectic and constantly evolving cityscape continues to create opportunities for interiors designers, from repurposing industrial units to creating new cultural spaces. This year’s exciting fringe programme will further explore the city’s thriving design scene with tours and events planned across Berlin throughout the three days. The Arena Berlin is one of the German capital’s best-known venues for cultural events. The Arena was built in 1927 as a bus depot for Berlin’s public transport system, and at the time was Europe’s largest free-standing hall. Officially closed following Germany’s reunification, the venue was reborn following extensive refurbishment works in the early 1990s.